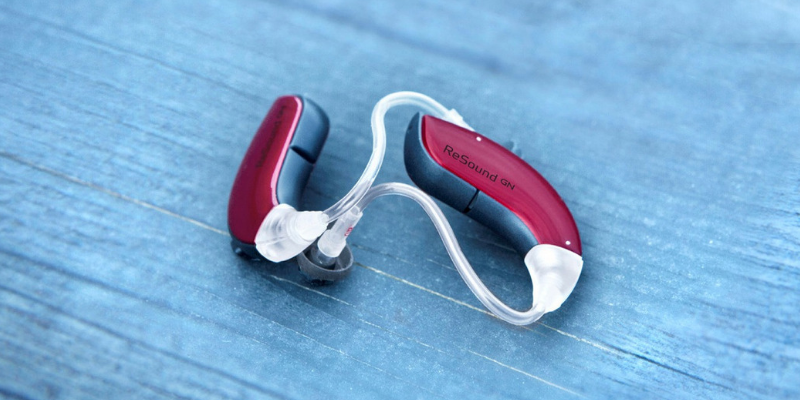 Part of The GN Group, the world’s leading producer of intelligent hearing solutions, ReSound has been producing market leading hearing aids since 1943. They pride themselves on their expertise and their focus on research and development. ReSound is a pioneer in the hearing aid market. They were the first hearing aid producer to deliver 2.4GHz technology in hearing aids for direct connectivity and the world’s first made for iPhone hearing aid that enabled direct stereo sound streaming. At Hearing Care Centres, we are delighted to be able to offer our clients the innovative range of Oticon hearing aids. ReSound believes that hearing aids should be tailored for each individual’s needs. Their range of hearing aids and related app provide a solution for everyone. Described as the world’s first premium plus hearing aid, the LiNX Quattro offers users a complete hearing solution. With more layers of sound, sounds of all pitches are fuller and more natural sounding. As well as reducing sound in quiet environments so that you can truly enjoy silence, louder sounds are also clear, comfortable and distortion free. It offers a full spectrum of sound so that users can discern the finer details of any sound. It also boasts the world’s most advanced recharging solution for ease of use. 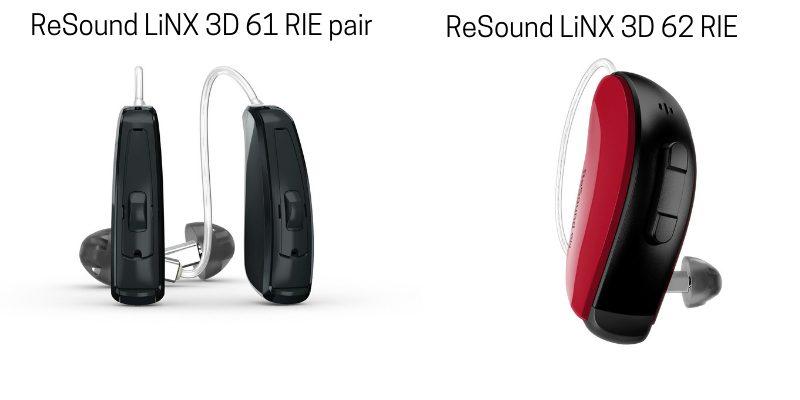 ReSound LiNX 3D is ReSound’s latest and most advanced hearing aid. It allows users to easily identify speech in even the noisiest environments. These hearing aids can be used like wireless headphones, with ultimate controllability thanks to the app. Surround sound means 360 degrees of sound so users no longer need to position themselves to hear speech. Spatial Sense technology provides clear and natural sound, while in busier environments Binaural Directionality III allows you to focus on the sounds you want to hear. The technology of this hearing aid enables users to hear up to 80% more sound and understand 40% more speech in noisier environments than other hearing aids. The LiNX 3D also comes with an app that lets users adjust the volume and change the settings to match the environment. And should users misplace their hearing aids, the app also helps them locate them. The world’s smallest hearing aid for those with severe to profound hearing loss, the ENZO 3D provides crisp and clear sound quality, making everyday hearing more straightforward. With Spatial Sense technology and Binaural Directionality III, it’s easier than ever to hear in noisy environments while being able to hear the surrounding environmental sounds. They offer 60% improved clarity and speech understanding. The ENZO is available in two behind-the-ear designs and they’re also available in a wide range of colours. To extend the life of this hearing aid, each part of it is coated with iSolate nanotech, an ultra-thin shield that protects the device from water, dust and ear wax. This hearing aid combines all of the benefits of the ENZO with added technology that allows you to connect and stream sound directly from iPhones, iPads and iPod Touches. The ReSound Enya combines a discreet and durable design with high quality sound and speech recognition. Wireless, users can stream sounds directly to the aids using the 2.4GHz wireless accessories. Adaptive Directionality and Noise Tracker II allows users to understand speech in noisy environments, while the Windguard allows for comfortable listening in windy conditions. The DFS Ultra II eliminates whistling sounds. For tinnitus sufferers, there’s an inbuilt sound generator for relief of symptoms. The Enya hearing aids’ volume and programmes can easily be adjusted, and modifying the settings on one automatically adjusts the other using the Ear-to-Ear communication system. The innovative ReSound Smart 3D App offers users complete controllability over their hearing. It allows users to control volume, plus adjust bass, middle and treble for complete comfort. Location settings can be selected easily and discreetly, while the advanced features allow users to save favourites and geo-tag locations which it will remember and automatically revert to those settings next time the user visits that location.